This anthology provides an excellent overview of – mainly American – research concerning the influence of psychological factors on entrepreneurial success. 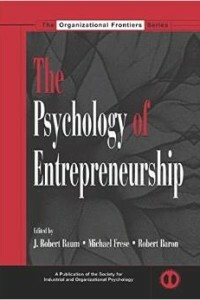 In the introduction, the editors identify a newly awakened interest in studies about the psychology of entrepreneurship. At the same time, they point out the shortcomings of historic research in this field. So far, they argue, researchers tended to look at linear relations between personality traits and entrepreneurial success. The editors of this anthology, however, thought it essential to look at non-linear contexts as well. A case in point would be the debate concerning the relation between risk tolerance and entrepreneurial success: Studies on the subject returned contradictory evidence. In their essay “Born to Be an Entrepreneur? Revisiting the Personality Approach to Entrepreneurship,” Andreas Rauch and Michael Frese wonder whether some entrepreneurs simply take too many risks, are too ambitious, too optimistic, etc. “In contrast to achievement tests (such as cognitive ability), more of the same thing may not be a good thing at all. Thus, we urge future researchers to test for non-linear relationships…” (p. 43). Rauch and Frese suggest that it may be of little use to connect very general character traits (such as the so-called “Big Five”) with entrepreneurial success as was often done in the past. In this instance, there is often but a rather low level of correlation, or so they argue. Rather, its effect seems to be based on the fact that it is influenced by very specific characteristics which are decisive for entrepreneurial success. Rauch and Frese identify these rather specific characteristics as “need for achievement”, “risk taking”, “innovativeness”, “autonomy”, “locus of control” and “self-efficacy” (p. 47). According to the argument, meta-analyses show that there is a strong relation between focus on performance and entrepreneurial success (p. 49). Studies on the subject of the relation between innovativeness and a striving for autonomy also showed a relation to entrepreneurial success, whereas the often quoted relation between internal control and entrepreneurial success is notably weaker. Meta-analyses supposedly show that the most unambiguous relation exists between the level of self-efficacy and entrepreneurial success (p. 53). Self-efficacy in this context means a person’s perceived capacity to successfully conduct projects on the basis of his or her own competence. The individual character traits often poorly correlate with entrepreneurial success, but the authors did not consider this surprising. After all, it is not a single character trait but rather a specific combination of several such traits that bring about success, or so Rauch and Frese argue (p. 54). They believe the best way to measure the relation between character traits and entrepreneurial success is to use small and medium-sized enterprises, because the personalities of the entrepreneurs that run them tend to play a greater role than they would in larger businesses (p. 57). What role do an entrepreneur’s goals play? Michael Frese chose an action theory framework to look into the question. In his chapter “The Psychological Actions and Entrepreneurial Success: An Action Theory Approach,” he refers to studies conducted by Locke and Latham which concluded that loftier goals usually precipitated superior results. According to Frese, there are three ways in which individuals think about their goals: “One way is to fantasize about how good it would be to having achieved the goal; another is to worry about not achieving the goal, and a third one is to contrast the goal with the current condition. Although fantasizing about goal achievement and worrying reduce the chances to achieve the goal, contrasting the positive goal fantasies with the current condition is most effective for high achievement” (p. 154). And how does planning influence entrepreneurial success? Plans can be taken as connecting lines or bridges between thoughts and actions as they translate goals into feasible operations. Frese’s note that “plans” should not be understood in an everyday context struck me as essential. For he argues that “plans” need not necessarily be finalised and detailed in a narrow sense. Some plans might just consist of a general idea about how to proceed (p. 157). An entrepreneur, he argues, could by all means claim to have no plan at all but to just follow his or her intuition but still act according to a plan of which he or she is unaware. The authors see the importance of plans in their ability to motivate people to act while making it unlikely that these people will lose sight of their objective (p. 158). That being said, they caution that plans, aside from having positive effects on entrepreneurial success, may also be counterproductive, namely when individuals cling to overly rigid plans instead of acting in more flexibly, for instance in uncontrolled situations (p. 159). Another essay discussing the importance of goals is “Entrepreneurial Motivation” by Edwin A. Locke and Robert Baum. According to them, studies suggest that specific and challenging goals are likely to enhance the outcome (p. 94). They also describe independent thought as an important prerequisite for entrepreneurial success. “This means they (i.e. the entrepreneurs, R.Z. ), often go against the status quo, defy tradition, or do what others claim is foolish, crazy, or impossible. Entrepreneurs, therefore, must not only be in charge, they must be independent thinkers. Regardless of whom they consult, they must rely in the end on their own judgement. The buck stops with them. Dependent, follower types cannot operate in such a role and do not seek to” (p. 98). In connection with the question discussed above as to whether risk tolerance is a precondition for entrepreneurial success, Locke and Baum point out that “entrepreneurs do not experience their ventures as highly risky, as compared, say, to how an outsider would experience it. This is because entrepreneurs have high self-confidence; in relation to their perceived ability the venture may not seem risky. And if they possess genuine ability, the venture may not be objectively risky for them” (p. 99). All told, the anthology is a highly interesting read for anyone seriously wondering what psychological factors are essential to turn an individual into a successful entrepreneur.